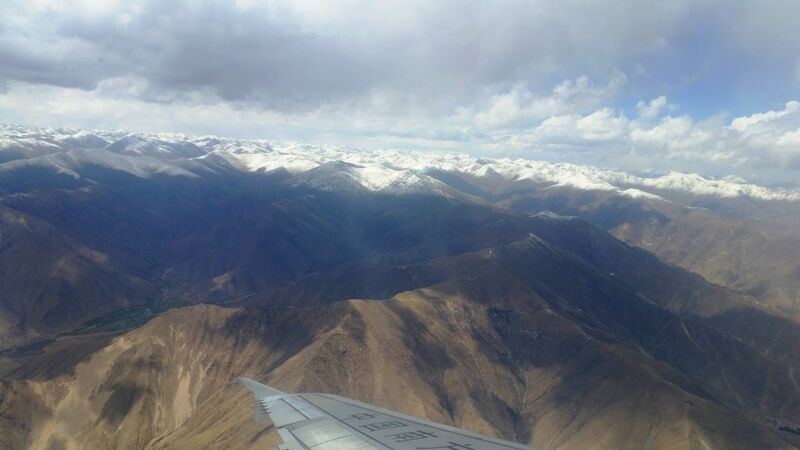 The second flight from Guangzhou China to Kathmandu Nepal was the short one, only four and a half hours. Filled with anxious trekkers, wanderers, Everest climbers and adventure seekers, I met Glen. Movie star good looks, obviously in top shape, he was here to attempt to summit Everest, again. Last year he and his team were 300 feet from the top, and the ceiling dropped like a sledgehammer. 100-mile-an-hour winds annihilate any chance to summit and can last for days. Glen is back, spending other 45 grand on permits and prays to the mountain gods for safe passage. Eddie, a fifty-something CPA from Iowa, in not-so-good shape, was clutching a copy of Sir Edmund Hillary’s account of his ascent on Everest. Eddie beams as he swills Chinese beers and yammers on about the lure of the mountain; his mission is to get to Basecamp…and have a cold beer. Jackie, an attractive college student from San Diego armed with only a backpack and some travelers’ guides, was wandering the world solo for the next three months. 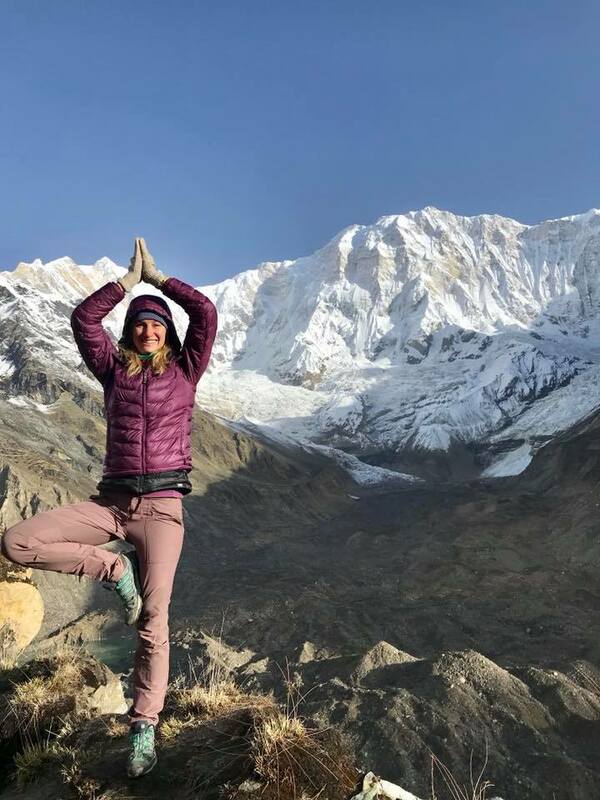 An experienced hiker, she had worked out a $25-a-day budget for food and lodging in Nepal as she hiked there for a month. Then there’s us, the mad motorcyclists who are here to ride 1,200 miles from Kathmandu to Lhasa on Royal Enfields. Blessed are the dreamers. Touchdown at KTM airport was thrilling. The 707 smacked hard on the tarmac, bounced, then shuddered to a ragged stop. 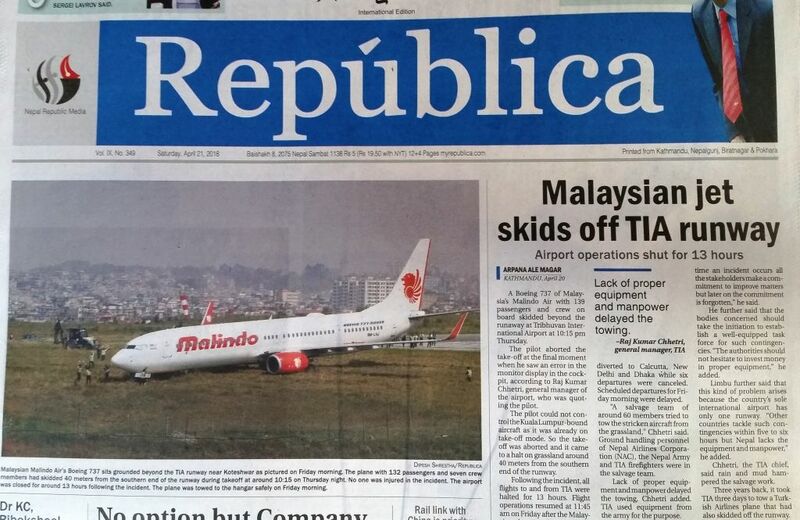 That very evening another jet with 148 passengers skidded off the same runway and closed the airport for an entire day. The adventure begins on the ragged edge.